Another trip across the Atlantic turned into another failure for the Americans in the Ryder Cup. At least on paper. What emerged that Sunday night after their 16½-11½ loss to Europe four years ago in Scotland was enough frustration, mainly from Phil Mickelson, to overhaul a broken system. It brought Mickelson and Tiger Woods closer together in the search for a winning formula. It led to players having more input in picking their captain and forming their team. The hope was that it would create more continuity. And for one Ryder Cup, it seemed to work. Every player contributed at least one point for the first time since 1975 in a 17-11 victory at Hazeltine in Minnesota in 2016, the widest margin for the Americans in 35 years. 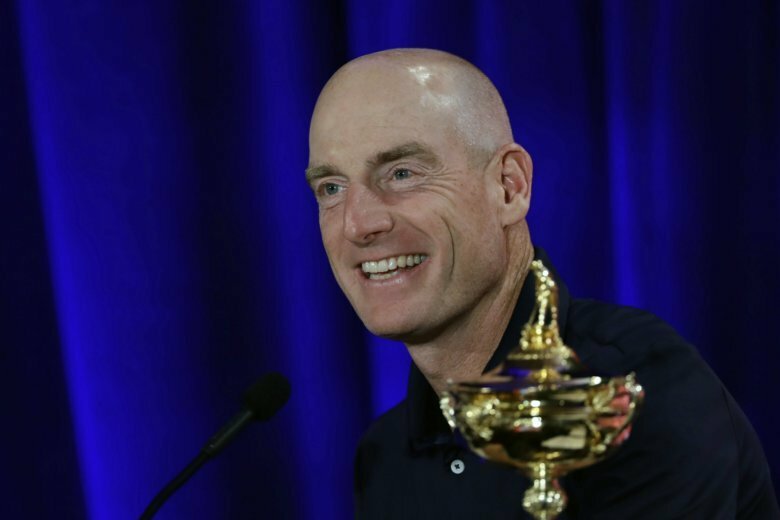 The 42nd Ryder Cup matches are Sept. 28-30 at Le Golf National outside Paris, and U.S. captain Jim Furyk is well aware that Europe has not lost at home since 1993, the year Jordan Spieth, Justin Thomas and Bryson DeChambeau were born. Furyk selected him as a vice captain in late February, when Woods was just returning following a fourth back surgery and had yet to break 70 in the six rounds and two PGA Tour events he had played. Since then, Woods contended on the back nine at two majors, had six top 10s and finished 11th in the Ryder Cup standings, making him an easy choice as a captain’s pick for his first Ryder Cup since 2012. He hasn’t won a tournament in five years. His only winning Ryder Cup team as a player was in 1999. But he hasn’t lost his presence. Woods and Mickelson, a captain’s pick for the first time in his record 12th appearance in the Ryder Cup, represent the old guard on a U.S. team that is built around fresh faces who already have achieved plenty on golf’s biggest stages. Nine of the 12 players on the American team are major champions, and they have combined to win 10 of the last 16 majors since the last Ryder Cup in Europe. It’s a strong team, no doubt. Then again, the Americans have taken strong teams to Europe over the last two decades and didn’t return home with the gold trophy. They had two previous chances to end this European streak. Furyk lost the decisive match to Paul McGinley, and Mickelson lost to Phillip Price (No. 119 in the world) at The Belfry in 2002. And in 2010 at rain-plagued Celtic Manor, the Americans lost five of six matches — the other was halved — to fall too far behind to catch up in singles. Both times, the Ryder Cup was on courses where the European Tour had played tournaments. They know those courses well, and Le Golf National is no exception. It is considered one of the best courses on tour and has staged the French Open 26 times. Alex Noren and Tommy Fleetwood won the last two French Opens, and both make their Ryder Cup debut. The daunting aspect for Bjorn is a team filled with five rookies, though that list includes Fleetwood and Jon Rahm, both among the top 12 players in the world. Two years ago, Europe had six Ryder Cup rookies — none made it back onto this team. The wild card is Sergio Garcia, who had such a poor year that the former Masters champion didn’t even finish among the top 125 on the PGA Tour this year. Bjorn picked him anyway, mainly because of the passion he brings and his experience in winning points. Mickelson has been part of the Ryder Cup for so long that he made his debut at Oak Hill in 1995 in a fourballs session that included Seve Ballesteros, Nick Faldo and Bernhard Langer. At age 48, this likely will be his last chance to win a Ryder Cup in Europe. It was Mickelson’s latent criticism of U.S. captain Tom Watson and the PGA of America that led to change. He wanted experience in the leadership, and the U.S. has that now. Davis Love III, the winning captain in 2016, is a vice captain. So is Steve Stricker, the captain of the Presidents Cup team last year. Woods and Furyk were vice captains last year. Six players are back from the ’16 team. Seven players are back from the Presidents Cup team. That requires winning away from home. That starts in France.